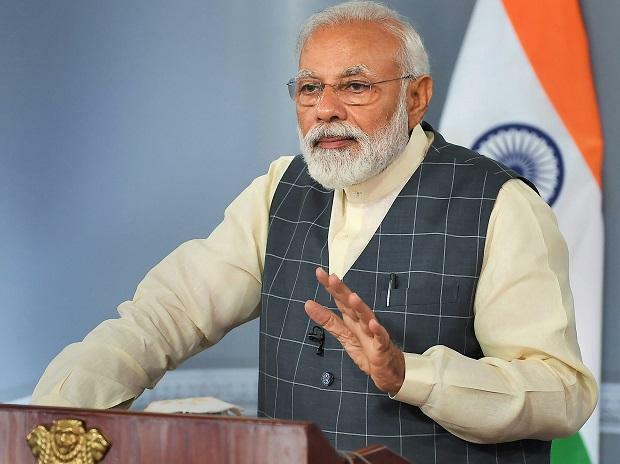 Prime Minister Narendra Modi Friday led a fresh BJP offensive on rival parties over the Pulwama terror attack and the subsequent IAF strike inside Pakistan, terming the Opposition "the natural habitat of terror apologists" and accusing them of "insulting" armed forces. Using the hashtag 'Janta Maaf Nahi Karegi' (people will not forgive) in a tweet, Modi attacked Sam Pitroda, who looks after Congress' overseas affairs, for reportedly saying that post the Mumbai terror attacks, India could have responded with air strikes, but "according to me that's not how you deal with world." "Loyal courtier of Congress' royal dynasty admits what the nation already knew- Congress was unwilling to respond to forces of terror. This is a New India- we will answer terrorists in a language they understand and with interest!," Moid said. "Opposition insults our forces time and again. I appeal to my fellow Indians- question Opposition leaders on their statements. Tell them- 130 crore Indians will not forgive or forget the Opposition for their antics. India stands firmly with our forces," he added, using the hashtag. BJP president Amit Shah also took to Twitter to hit out at the opposition, saying, while their "heart beats for terrorists, ours beats for the tiranga (the national flag)." "Difference between Opposition and BJP is clear. They suspect our army, we are proud of our army. Their heart beats for terrorists, ours beats for the Tiranga." "This election, through the power of your vote, do a surgical strike on the Congress culture," Shah tweeted. Pitroda has also reportedly said he wanted to "know more" about the Balakot air attack and number of terrorists killed in it. Senior BJP leader and Union minister Arun Jaitley slammed Pitroda for his remarks, saying such statements will be a hit on Pakistani news channels. "He thinks what we did (Balakot air strike) was wrong. No other country has said that it was wrong. Even the Organisation of Islamic Cooperation has not said such a thing. This is only the opinion of Pakistan. It is unfortunate that such people are role models for a political party," the Finance Minister said at a BJP press conference. Earlier, in his tweets, Modi also slammed Samajwadi Party leader Ram Gopal Yadav, who alleged the Pulwama attack was a "conspiracy" to garner votes. "This was a conspiracy...But, when there will be a change of government, investigations will be done and prominent people will come under the scanner, who had pushed our youth to death to garner votes," he alleged Thursday speaking at a programme at Saifai. The PM in his tweets tagged the reported statements of Yadav and Pitroda. Meanwhile, Samajwadi Party chief Akhilesh Yadav Friday said sacrifices of the armed forces should never be questioned, but advised the government "to stop pretending to be the Indian Army". He also said that in a democracy it was the "fundamental right" of politicians to ask questions.